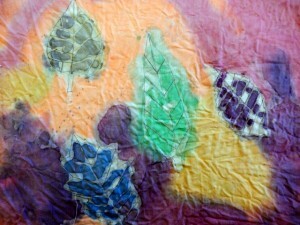 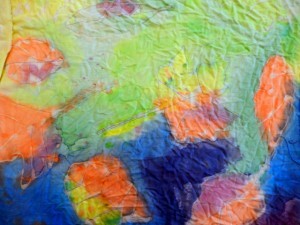 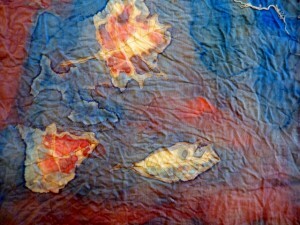 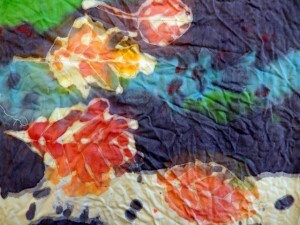 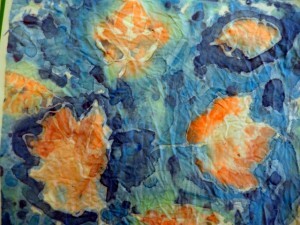 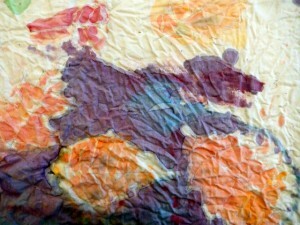 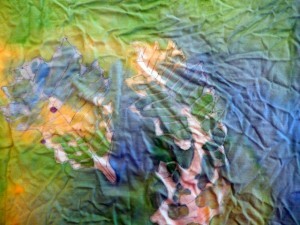 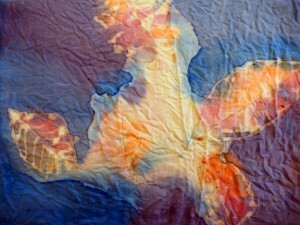 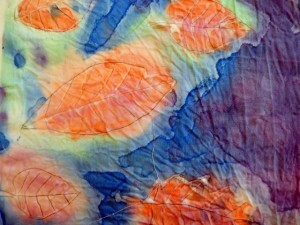 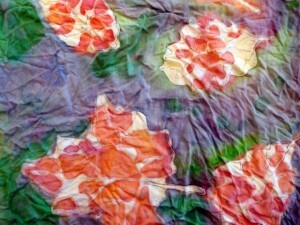 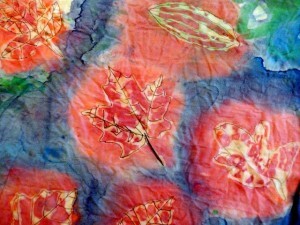 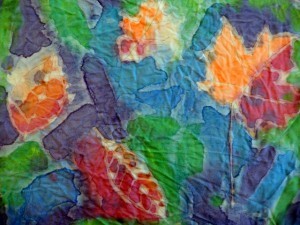 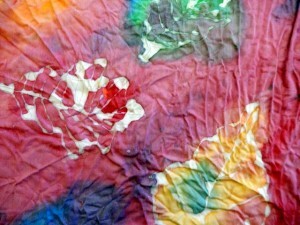 Ms. Kiely’s third graders explored an ancient art technique called batik with this project. 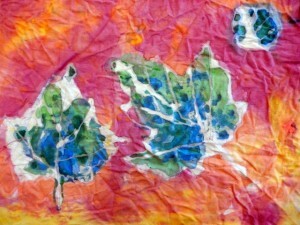 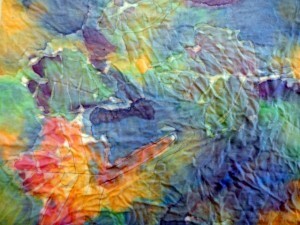 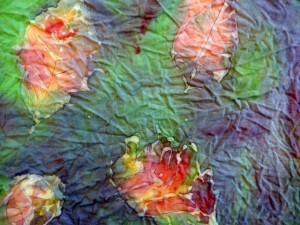 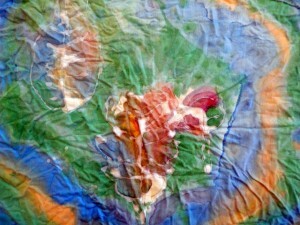 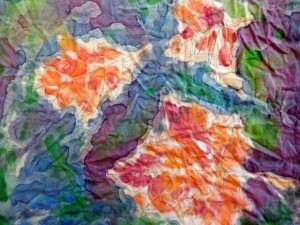 Instead of using hot wax, however, they used real leaves, traced with white glue. 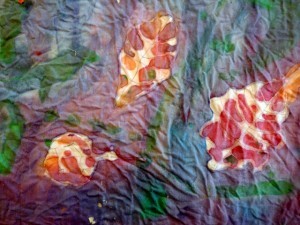 Once dry, they painted over their entire fabric with watered down acrylic paint, and then rinsed out the glue, revealing white lines. 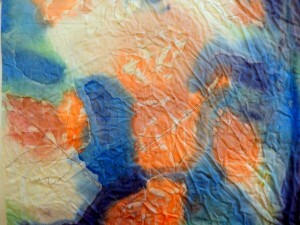 This project combined positive and negative space with contrast between warm and cool colors.